Following an intensive Trans Atlantic anti-Atzmon campaign, The Wandering Who seems to sell very well. 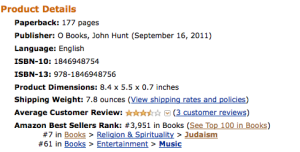 In America it is number 7 on Amazon Best Sellers Rank on the ‘Judaism’ section. 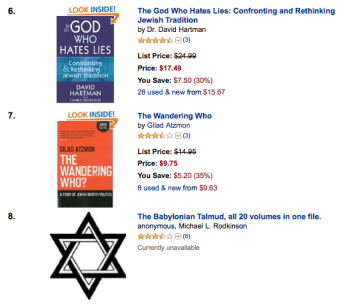 I really hope that it doesn’t get more popular than the Old Testament.